United Benefit Advisors (UBA), the nation’s leading independent employee benefits advisory organization, announces that Peter Weber, an executive with more than 20 years of leadership experience, will serve as President effective immediately and be based in the company’s Chicago office. Prior to joining UBA, Peter had six years’ experience as President of the Health Insurance Trust for the Illinois Association of School Boards and concurrently as the staff liaison to the Workers' Compensation and Property and Casualty Trust for the same association. He has held an executive director position for the past 20 years and has demonstrated his ability of helping organizations reach their greatest potential. Peter also has extensive experience in training, writing, and public speaking, and has won numerous state and national awards for his efforts and expertise in a variety of areas. 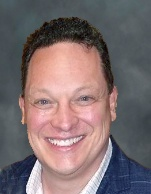 A Certified Association Executive, Peter received his Bachelor of Arts at Knox College, and his Master of Science in Education Administration and Political Science from the University of Illinois. As the newest employee of UBA, Peter joins a network of employee benefits advisory firms that serve employers of all sizes across the United States, Canada, and the United Kingdom. As a combined group, UBA’s annual employee benefit revenues rank it among the top ten largest global employee benefits brokers.